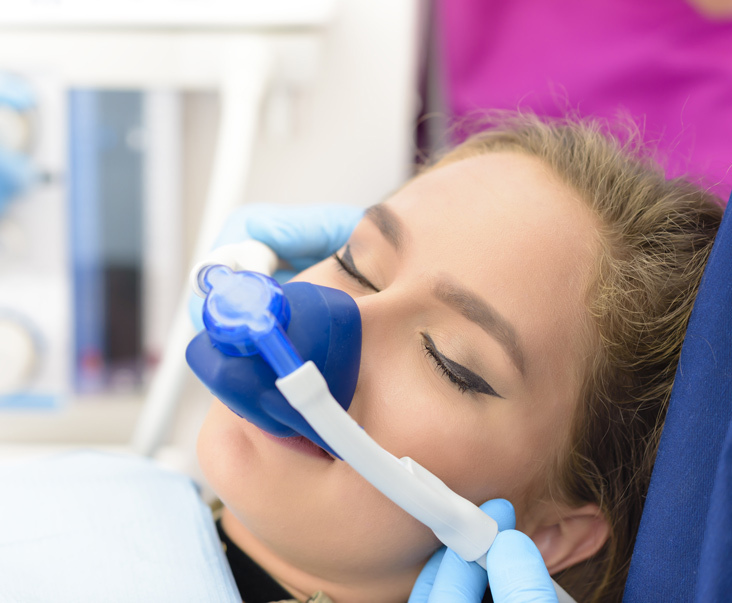 Nitrous oxide sedation, also known as “laughing gas”, is a very safe and effective way to alleviate anxiety and fear in adults or children during a dental procedure. The nitrous oxide gas is inhaled through a nose mask and metabolized in the lungs. The goal of this sedation is to reduce anxiety and make the dental appointment easier and more pleasant for the patient. At the end of your procedure, the gas is switched to 100% oxygen and the effects of the nitrous oxide quickly dissipate. Typically most adult patients are safe to drive after receiving a nitrous oxide treatment. Nitrous oxide is safe for nearly all patients, however, it may be contraindicated in certain circumstances or health conditions. At Page Dental Arts, we administer nitrous oxide through a small nose mask. This calming service is available during any procedure.